How to measure the UN sustainable development objectives in Central Europe? 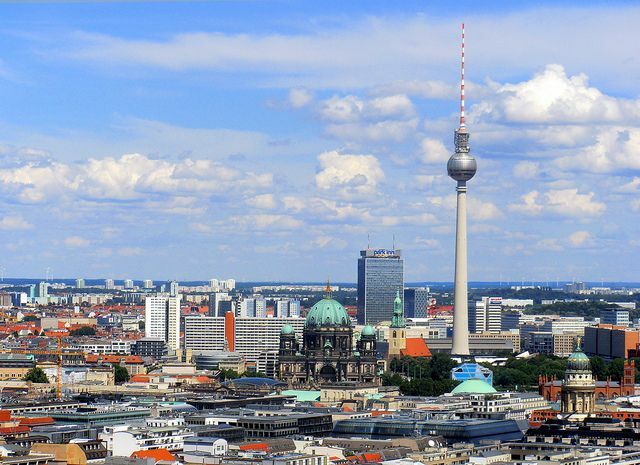 The NETGREEN consortium is holding a workshop in Berlin on 8 May 2015 to discuss the implications of the proposed UN sustainable development goals and how they can be measured in different countries and to present their indicator website. The NETGREEN team has invited speakers from several European countries (eg. Poland and the Czech republic), to provide different perspectives on how the proposed UN sustainable development goals influence the political debate and the political process. The workshop will provide participants with insights on how the UN sustainable development goals are applicable and relevant in European countries and how they can be measured. The agenda is available for download at the bottom of this page. In this workshop, participants will discover www.measuring-progress.eu, a repository of Green Economy and sustainable development indicators. The interactive online tool guides users wishing to influence the policy-making process. The website helps users identify the right indicators for their policy problem and understand the limits and strengths of the indicators. The tool demonstration will use a real policy example: the implications of the proposed UN sustainable development goals and how they can be measured in different countries. The workshop will be focused on the goals most closely related to the Green Economy: the United Nations Sustainable Development goals 11 (sustainable cities), 12 (sustainable consumption and production) and 15 (terrestrial ecosystems). This half-day workshop (9am-2pm) is free of charge and offers opportunities for exchange and networking for up to 30 participants from all over Europe (first-come first-served basis). For those, who are already in town on 7 May, there will be the opportunity to participate in a networking dinner.